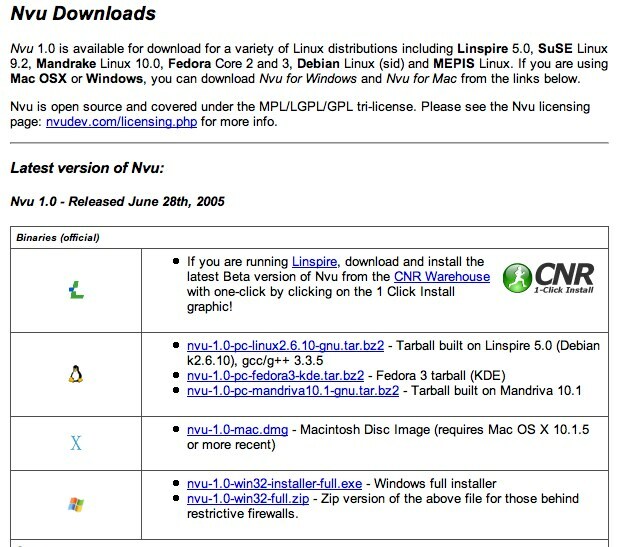 Creating web pages for free using Nvu if you have a Mac or PC as it runs on both Linux and Windows and is open source. 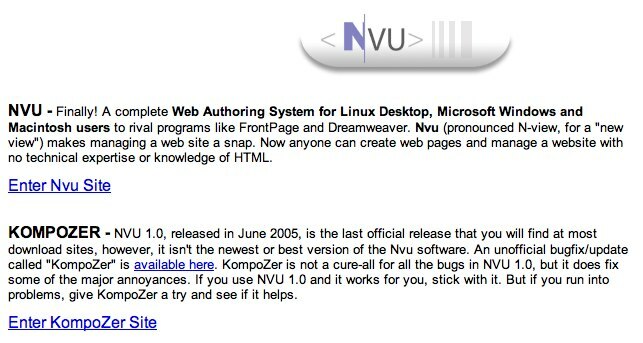 It is based on the Moziller Composer Web Editor. (If you haven’t all ready – take a look at Mozilla’s site and consider downloading Firefox as your web browser – there are an amazing amount of tools available though the Open source community). Although I found it was not as stable as Front page or Dreamweaver, (it did freeze a couple of times) I found it very useful when I didn’t have the other software available and it allowed me to continue building pages and sites very efficiently. where you choose the appropriate version for your machine.